Data Bosma, screenshot, 2018. Represented at Supermarket by Nieuwe Vide from Harlem, The Netherlands. 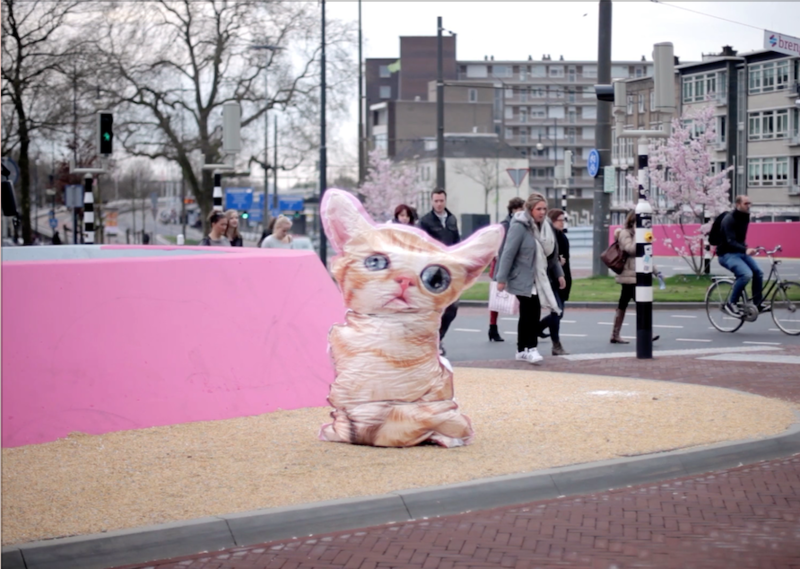 Traditionally, the concept ‘artist-run’ has been associated with alternative or small scale projects. However, since its first edition in 2006, Supermarket – Stockholm Independent Art Fair has developed into Stockholm’s largest art fair. This year, Supermarket gathers around fifty artist-run galleries from all around the world and opens on 4 April, one week before Market and Stockholm Art Week. Artist Pontus Raud, who initiated Supermarket thirteen years ago with his colleague Andreas Ribbung, says that they want to create new networks, a place for participating artists to meet and discuss issues and challenges that artist-run galleries face. “What makes us different, is that we are not really an art fair. Supermarket is more like an art event. Art fairs are not as chaotic and spontaneous as we are,” Raud says to Kunstkritikk, adding that Supermarket has no interest in sales, but is “driven by a desire to show art that is not seen in other places and institutions.” Read the story in Swedish here. Cloudcatcherby Karolin Schwab, one of the artists chosen for the Malt Air residency. Almost five hundred artists from over eighty-four nations applied for the new residency programme Malt Air in Ebeltoft. Funded by the Danish Arts Foundation, the residency is a collaboration between the cultural centre Malt Factory, Kunsthal Aarhus, and Danish Art Workshops. Malt Air offers residencies for two artists or artist duos at a time, for a period of four months each. Out of the large amount of applications, six artists have been accepted for the first year: Nicholas Grafia (Germany), Chico Togni & Kadija de Paula (Brazil/Canada), Karolin Schwab (Germany), Kelani Abass (Nigeria), Yun Choi (South Korea), and Audrey Samson & Francisco Gallardo (Canada/Spain). Residents will be coupled with a “peer” who will support and challenge their artistic development. 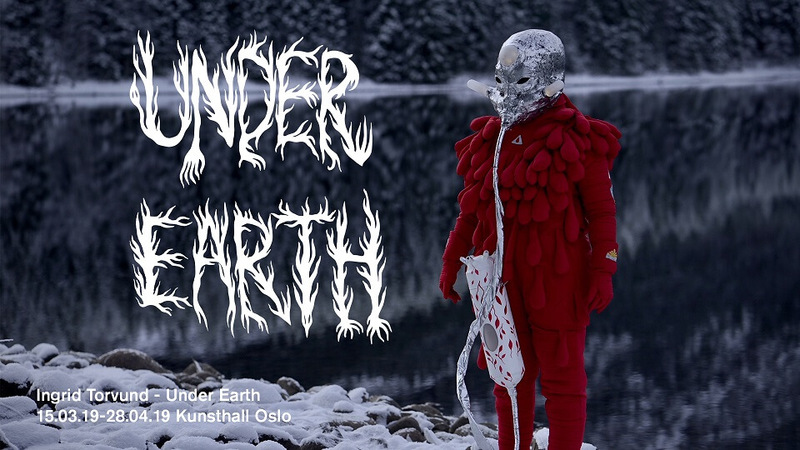 Among the invited peers are curator Toke Lykkeberg, gallerist Bianca D’Alessandro, artists Kasper Bonnén and David Hilmer, and dean at the Art Academy of Oslo, Stine Hebert. Curators at the Norwegian National Museum, Geir Haraldseth and Randi Godø. Photo: Annar Bjørgli/Nasjonalmuseet. 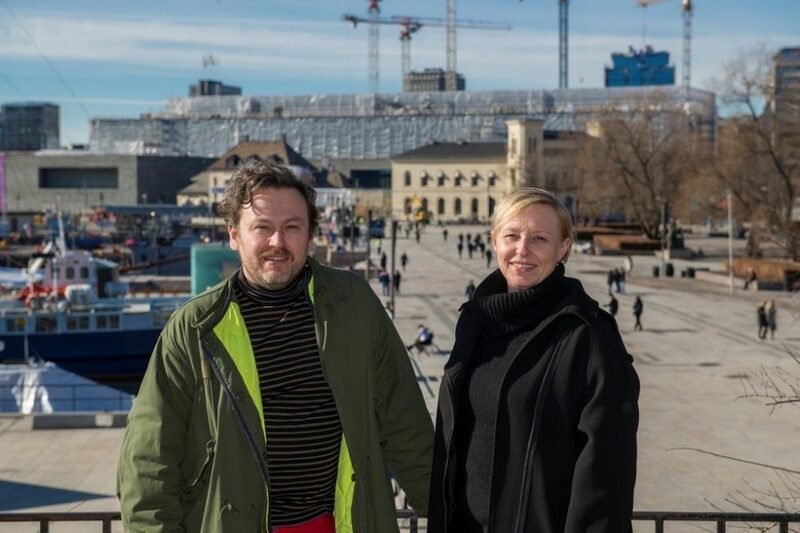 “The opening exhibition of the new National Museum will not be showing artists that are already represented in the museum’s collection,” the curators Geir Haraldseth and Randi Godø declared to the press on 22 March, as they presented the plans for the first temporary exhibition in The Marble Hall on the new building’s top floor. The exhibition will be titled Lupe & speil (Magnifying glass & mirror). According to Stina Högkvist, director of collections at the museum, the exhibition will be a “declaration of love” to the Norwegian contemporary art scene, one of the criteria being that all artists represented must be based in Norway. 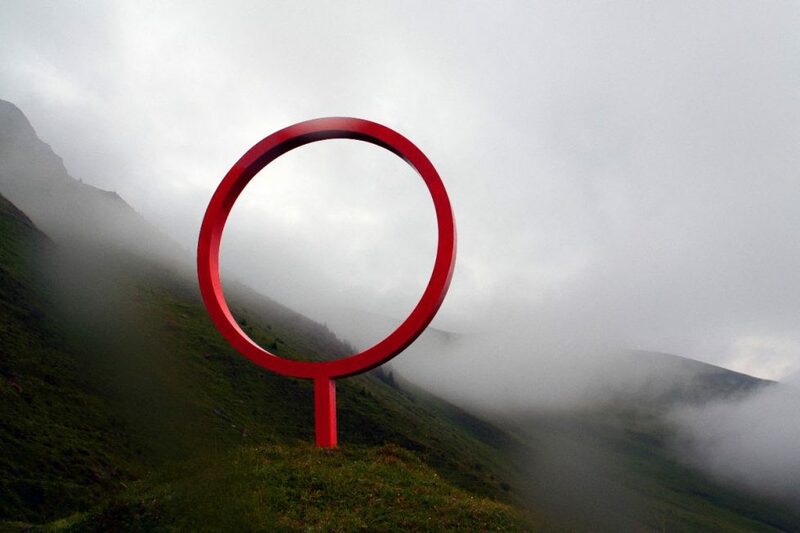 The curators are in the process of completing an extensive mapping of artists in Norway, having already met with approximately 180 artists in different parts of the country. They will also arrange an open call during the summer. “When the National Museum makes exhibitions, we tend to choose and confirm the art that is already legitimised,” Haraldseth told Kunstkritikk. With the opening exhibition, he hopes to demonstrate a more self-critical approach, with awareness of which voices are included and which ones are excluded. Read the story in Norwegian here. Oslo 23 March. Photo: Markus Li Stensrud/NBK. 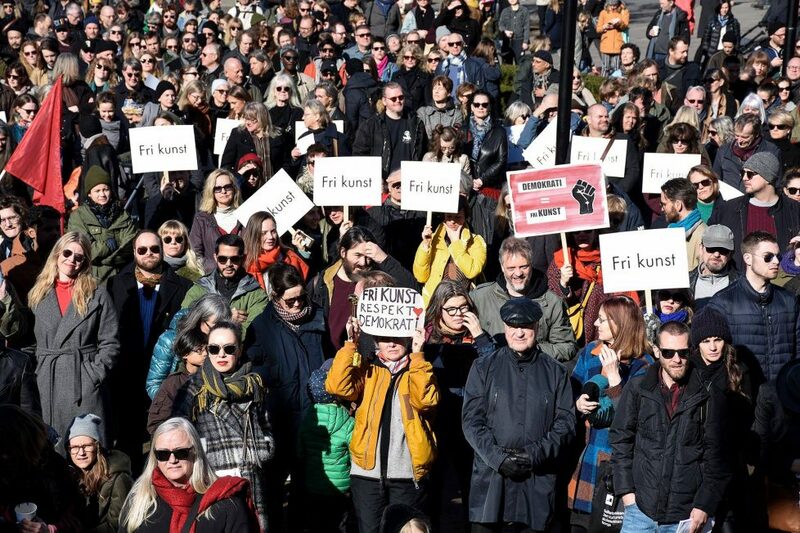 On 23 March, artists and their allies from almost fifty organisations gathered in Oslo, Bergen, Trondheim, and Kristiansand to defend artistic freedom of expression. The protestors were reacting to the ways in which Norwegian right-wing politicians, and Prime Minister Erna Solberg (Conservative Party) in particular, have treated the critical play Ways of Seeing at the independent theatre Black Box in Oslo. On Wednesday, 27 March, Solberg was questioned by the opposition in the Parliament, Stortinget. 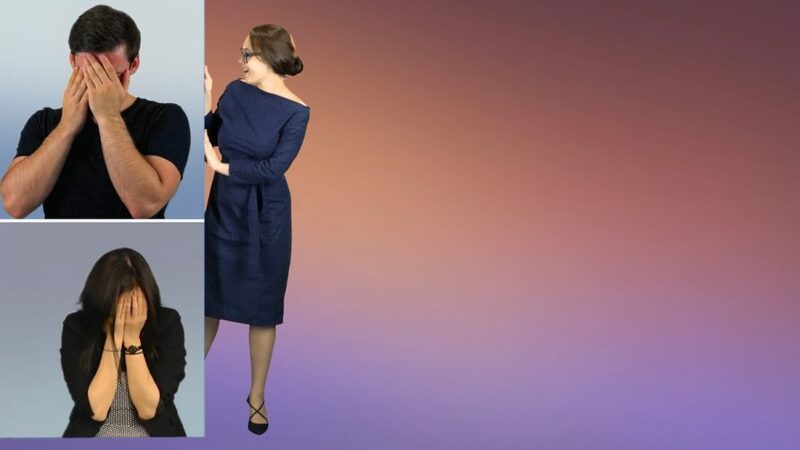 Stating that the prime minister had put undue pressure on artistic freedom of expression, Anette Trettebergstuen (Labour Party) asked if Solberg would apologise to the artists behind the play. Solberg refused to apologise, and argued that she, too, has freedom of expression. “I think artists should have full freedom of expression, and this right is protected both by the constitution and by the convention of human rights,” she said, but added that “in the same way, freedom of expression protects the freedom to discuss artistic choices, and to have a discussion surrounding their methods.” Interviewed by the Norwegian broadcaster NRK, Trettebergstuen expressed her disappointment. “This means that the prime minister is unaware of her own role. She is no commentator, she is the prime minister,” Trettebergstuen said.